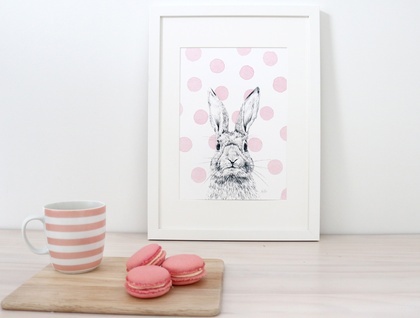 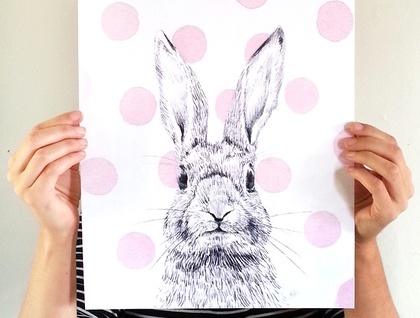 Contemporary art print by Millie Strong, featuring a pencil drawing of a cheeky bunny and a background of watercolour pink polka dots. 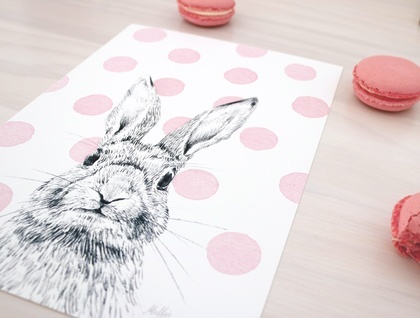 Printed on 300gsm matte fine art paper which has a bright white tone, perfect for complimenting the subtle tones achieved with pencil and watercolour. 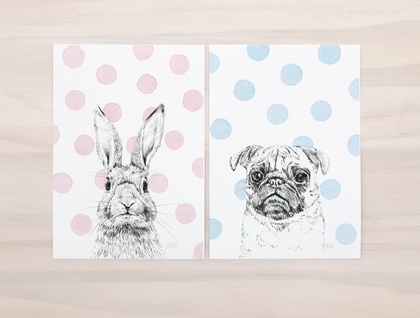 Packaged in a cellophane bag and posted in a cardboard envelope for protection.